In my job I spend a lot of time teaching people how to use Cypress Products. One of the best students that I ever had was Paul Bentley the Cypress VP of Sales for Europe. He came to Kentucky a few years ago to take my class. He dove in with reckless abandon and did a amazing job learning how to actually program the PSoC (not just talk about it on powerpoint). Recently, he was anointed with the responsibility to teach more of our Sales team to use PSoC at the Sales Technical Conference (STCON) which is going on this week. 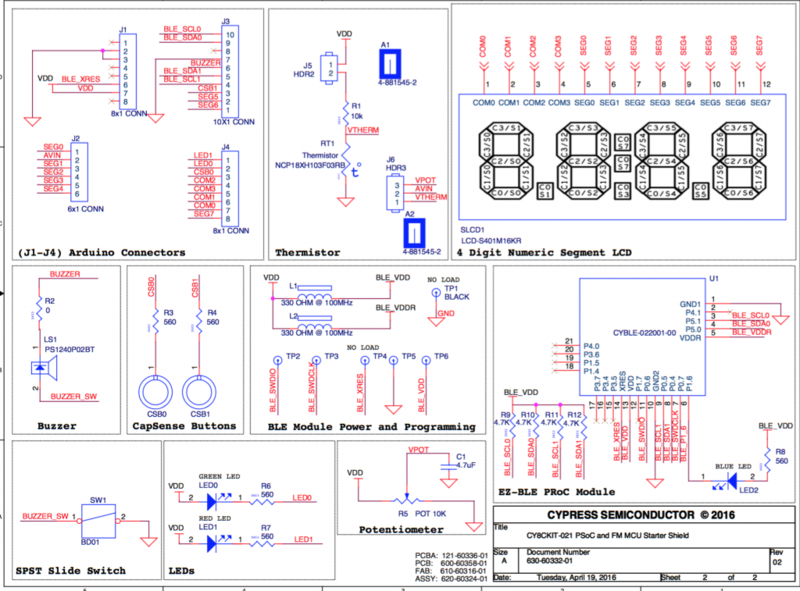 For some time I have wanted a very simple, inexpensive board to help teach people how get going using our chips…. all of our chips both the FM products as well as the PSoC products. The STCON afforded the perfect opportunity to build an education board. I am very lucky to work with some really good people (in India and New Hampshire) who did the work of realizing the vision of a simple board and getting it made in short time. 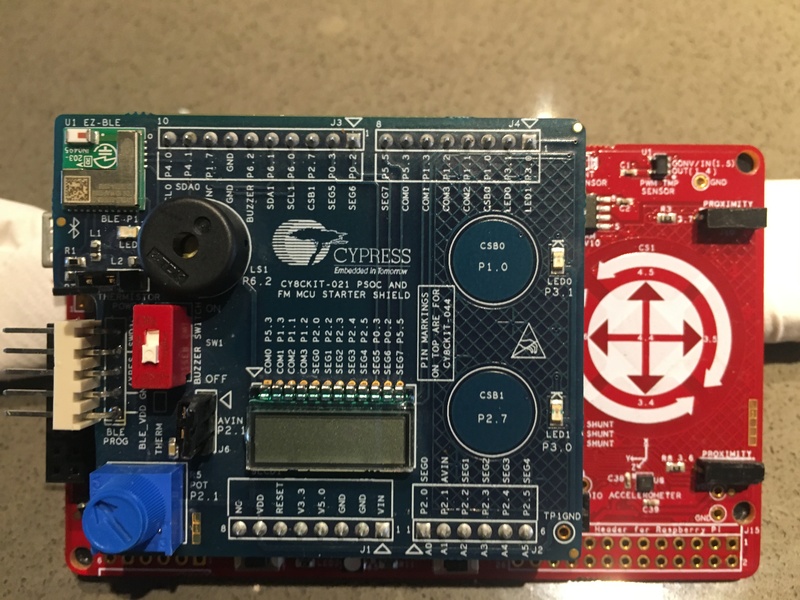 Without further ado, here it is, the provisionally name CY8CKIT-021 PSoC and FM Starter Shield (shown connected to the CY8CKIT-044). Over the next several days I am going to show you example projects using the board. I will culminate at the end of the week by IOTifying the board by writing BLE firmware for the PRoC, building an IOS app and an Android app to talk to the board.